No one is immune from silent inflammation, a condition that occurs when the body's natural immune system goes awry, the underlying factor behind the development of these dreaded diseases and more: heart Disease, cancer, dementia, arthritis, and diabetes. 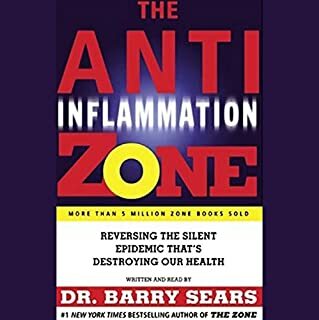 Dr. Barry Sears reveals how to combat silent inflammation in order to reduce your risk of each disease and condition, and how to reverse it if you have it already. I learned more than I expected! 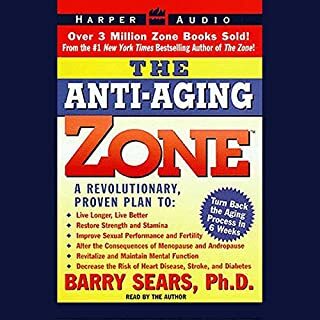 Dr. Barry Sears, author of the revolutionary best seller, The Zone, reverses the aging process with his cutting-edge guide, The Anti-Aging Zone, a proven plan to help us live longer and healthier. Using the most recent hormonal-control research and a unique biological perspective, Dr. Sears has discovered that food is the most powerful drug known to man - and that the right diet can immediately get you onto the road to a longer and better life. The Omega Rx Zone offers a groundbreaking plan to help listeners fine-tune their health to reach an entirely new level of the Zone. 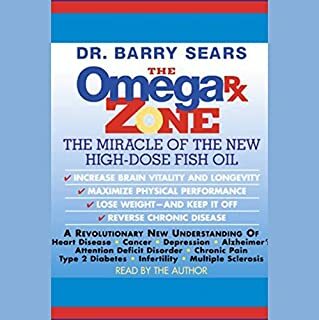 With his winning blend of groundbreaking science, practical guidance and infectious enthusiasm, Dr. Barry Sears continues the evolution of the Zone to the epitome of total health and vitality for life. Find your focus and perform at your peak - with Enter the Zone, the powerful brainwave audio recording from Brain Hacker! Enter the Zone uses special audio sounds to influence your brainwave patterns, helping you tune in and get completely centered during a forty minute session. This audio employs brainwave entrainment technology to sync your brainwaves up to particular frequencies. After being exposed to these frequencies, the brain replicates them, helping to bring about particular states of mind, in just minutes. The South Beach Diet isn't complicated, and it doesn't require that you go hungry. You'll enjoy normal-size helpings of meat, poultry, and fish. You'll also eat eggs, cheese, nuts, and vegetables. Snacks are required. You'll learn to avoid the bad carbs, like white flour, white sugar, and baked potatoes. Best of all, you'll lose that stubborn belly fat first! 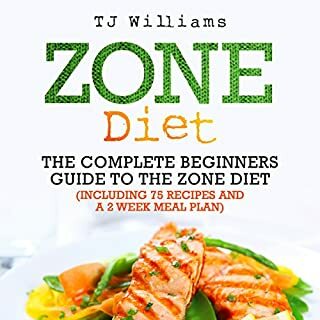 Enter The Zone and discover the truth about your body's ability to burn fat and how to achieve lasting weight loss, great health, and peak athletic, mental, and emotional performance. In this scientific and revolutionary work based on Nobel Prize-winning research, Dr. Barry Sears, a medical visionary and former M.I.T. researcher, prescribes a new, effective, and easy-to-follow dietary program based on the vital connection between food and hormones. 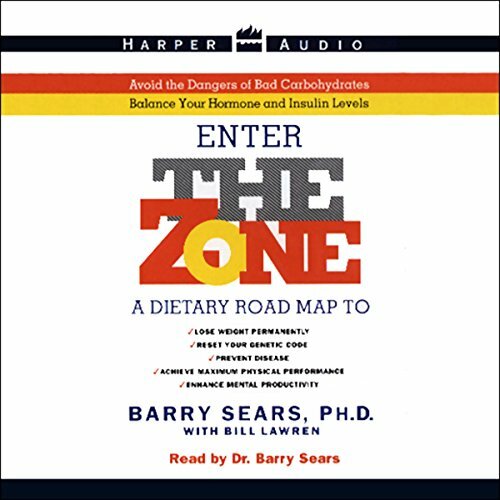 The Zone is based upon Dr. Sears' research showing that to achieve total balance in your life and health, you are required to regulate, through your diet, those hormones that control virtually all human body functions. With lists of good and bad carbohydrates, The Zone provides all you need to get your body in balance, so it will not only burn fat, but reduce the likelihood of disease. Once you enter The Zone, you will come to realize that food is more than a source of pleasure or a means to appease hunger. It is a powerful medicine and your ticket to a state of ultimate body balance, strength, and greater health. And your own journey toward exceptional well-being can begin with your next meal. After reading so many books on diet and weight loss I was finally relieved to find a book that talks about balance and moderation in diet. The book talks about balancing the amounts of protein, carbohydrates and fats in each and every meal. I have always believed that trying to lose weight in order to get healthy is like putting cart before the horse. After all a healthy body should maintain a proper ratio of muscle to fat in the body. If you focus on health the weight loss should follow. The book talks about how the insulin , glucagon and other hormones respond to food intake. I think anyone who is interested in eating healthy should listen to this book. I resisted this author for a long time because I felt this book belonged with all the other "fad" diet books. However, his information is well presented and well researched. I do wish he had had someone else narrate his book. Amazing view on health and nutrition! A brilliant and informative book. A new and amazing view on health and nutrition. Thank you! I feel as if the author should have used a professional narrator. still very useful material. 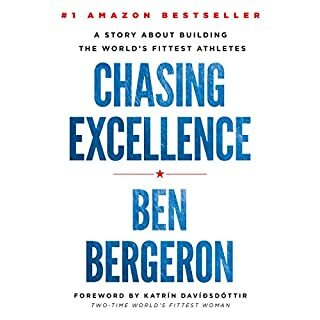 I often find it difficult to stay focused when reading non-fiction, science-based books and I have had great luck in the past with listening to them instead. This book, however, has been a bit of a disappointment. It is severely abridged, to the point that it seems like much of the original content is missing - 286 pages has been condensed down to an hour and 40 minutes. 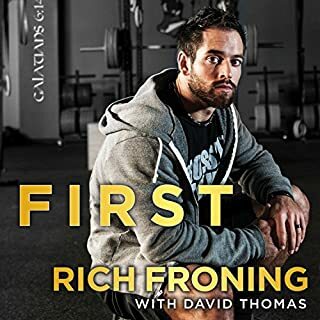 This results in a decent overview, but there is not much substantive info you can really get from the audio version of the book, and it seems like a waste of money. Also, there is no nice way to say this - the narration is terrible. Dr. Sears should really have let someone else narrate the book for him. He breaks the sentences into awkwardly truncated groups of words, as if it is a completely unfamiliar work that he is reading, not the book that he himself wrote. He also has the particularly annoying habit of somehow pronouncing the word "favorable" (which is in about every other sentence) without the letter v.
Very accurate. Stupid proof direction in proper eating habits. Gives great description what americans are doing wrong. Nullifies misconceptions about dieting. I think it makes alot of sence! From this day forward, I will try the diet for one month to see how I feel about myself after that period. Before I read this book, I never understood how the balance of macronutrients in food can have such a huge hormonal effect on the body and how that influences health. This book makes a complicated topic very simple to understand and has given me a whole new perspective on diet and health!